My decision to go back to school to study Veterinary Technology came in my late 20’s after deciding mental health was not my ideal career choice. I thoroughly enjoyed my 2 years at Northern Virginia Community College and had an affinity for the information I learned. My draw to the profession came from a life of being around horses. Riding was my passion as a child and young adult and during the 2 years I was in school in VA I had the very fortunate opportunity of working at the Marion Dupont Scott Equine Medical Center in the nursing department. 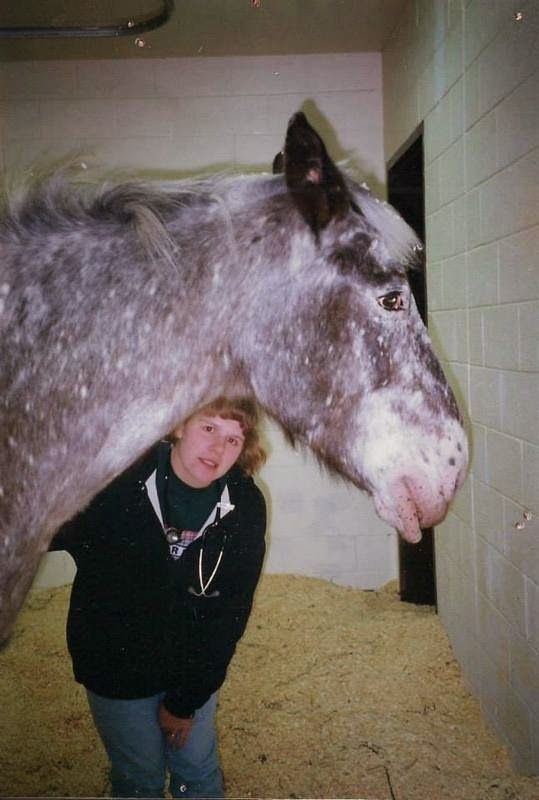 I learned so much about horse health in my time there and gained a much better appreciation of my relationships with horses when I came from the point of reference of caregiver. It gave me the ability to take the best care of the horse I had been with since I was 10 years old and ultimately had the pleasure of owning for the last 6 years of his life. After graduating from the technician program and passing my national board exam I decided I needed a more “normal” schedule and started working at Kingsbrook Animal Hospital. After 14 years in the same clinic I have to say I am so fortunate to have found my way here. My experiences here has shaped me as a professional and a person. I am so lucky to work with a group of doctors and veterinary professionals that have such dedication to what they do and practice kind and thoughtful medicine. My experiences as a seasoned technician include anesthesia monitoring, patient care, radiology, dentistry, nutritional counseling, client education, performing diagnostic tests, phlebotomy (drawing blood samples) and intravenous catheter placement. The diversity of my tasks and my patients keeps my life at work very interesting and non-static. There is always the opportunity to learn and experience something new, even if you have been in the field for many years. It is a great feeling to be 17 years into a career and still have a passion for it. I am motivated to stay in this line of work based on my experiences thus far. I attribute this outlook to Kingsbrook Animal Hospital. All employers are not created equally. My veterinarians appreciate my contribution to the health care team and utilize me to my fullest potential. This mind set on their part has left me open to learn and grow and feel very useful and productive in my work. Being a licensed veterinary technician is very rewarding, but can also be very emotionally taxing. Relationships people have with their pets are very personal and heart felt. In helping people care for their pets, especially in critical times, we learn our most important job is helping our clients cope with the stress and heartache of seeing their loved one ill. I greatly appreciate the relationships I have built with owners over the years in helping them care for their pets. My chosen profession is one I am very grateful for. I can’t imagine doing anything else. This entry was posted in Frederick MD, Kingsbrook Animal Hospital, veterinarian on October 28, 2014 by yourfriends. Ever since I was a child, I have always known that I wanted to work with animals and my family can attest to the fact that I tried to adopt or find homes for every sick or stray animal I encountered. I had the opportunity, shortly after graduating high school, to work in an animal shelter and to intern at a vet clinic in Hagerstown. It was during that point that I decided I wanted to be a veterinary technician. I was in awe of everything the technicians could do! I was also anxious to work in a field where it was not to late to help an animal, which was unfortunately often the case at the Humane Society. I decided to go to Wilson college and get a four year degree in veterinary medical technology. I graduated this past spring, and I am anxiously waiting to take my boards to become licensed in November! I have been so fortunate to find a home at Kingsbrook Animal Hospital in Frederick, MD! The veterinarians not only appreciate the skill set that has been devloped and practiced for the four years of my schooling, and also truly value the education in which I have invested. I love being in a field where continuing education is not only encouraged, but required as we all know how the veterinary field can change and evolve. Here at Kingsbrook Animal Hospital compassionate, knowledge care is at the heart of everything we do, and I get to work in a field where I learn something new everyday. This entry was posted in Frederick MD, Kingsbrook Animal Hospital, veterinarian on October 21, 2014 by yourfriends. My love for animals started long before I can even remember and as soon as I was old enough to understand what jobs were…I knew I wanted to work with animals. My career in veterinary medicine started in Yokosuka, Japan in 1998 where I worked as a volunteer at the Veterinary Treatment Facility and was Vice President of the local animal shelter. In Japan, at the time, the stray cat population was three times worse than anywhere in the world. Taking care of all of the stray cats that came through the shelter and assisting in there medical treatment and surgery just solidified that this was the career choice for me. I realized then that I could make a difference in the lives of animals and in the lives of the humans that loved them just as much as I did. After leaving Japan in 2001, I moved to New Jersey and worked in general practice at an animal hospital not far from the military base I lived on. In New Jersey, we treated a lot of dogs that were associated with dog fighting. Client education and patient advocating was an important part of what I learned in New Jersey. From New Jersey, I moved to Italy. It was a challenge to get a job in Italy, but I ended up at the Veterinary Treatment Facility in Naples, in addition to working at an outdoor recreation center. In Italy, I learned that preventative medicine changes depending on the country you live in. There was so much to learn, and I wanted to know more and more about what my career choice had to teach me. My military travels ended in Italy in 2003 and I found my way back to Maryland. I started working at an animal hospital in College Park just a few days after arriving back in Maryland, and was there for a couple years. I then moved to another hospital in Silver Spring, and then Gaithersburg. I stayed at the animal hospital in Gaithersburg for seven years, where I learned a lot about alternative medicine. It was there, that I decided to become licensed and started taking classes in 2006. I have been taking classes since, and am nearing the end of my certification. It has been quite a challenge working full time, taking care of my family, and going to school…but I am determined to finish. My love and passion for the veterinary profession is what ultimately brought me to Kingsbrook Animal Hospital in Frederick, Maryland. At Kingsbrook, I have found a team of people that share the same feelings that I have for the job that I love to do. They encourage me every day and support my efforts in obtaining my license. I am so fortunate to work with such a great group of people and look forward to years to come. This entry was posted in Frederick MD, Kingsbrook Animal Hospital, veterinarian on October 15, 2014 by yourfriends. What is a veterinary technician anyway? A RVT is a registered veterinary technician. While having a strong love of animals is why most of us found our way into this profession, there is a lot more to it then that. They are educated and knowledgeable. They have graduated from a 2 or 4 year AVMA-accredited school and has taken and passed the VTNE (a national test) and Maryland boards. Once ‘registered,’ they must complete 24 credit hours of continuing education every three years to maintain their license. What can a vet tech do? 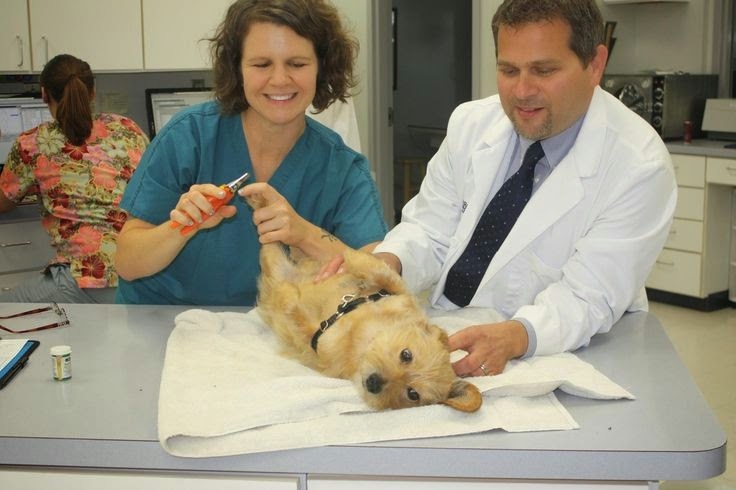 Our vet techs perform a wide range of duties. It is actually easier to define what they can’t do instead! Legally, they can do everything EXCEPT perform surgery, offer prognosis and diagnosis, and write prescriptions. On any given day, an RVT at Kingsbrook Animal Hospital wears many hats. Vet techs are… radiology technicians. 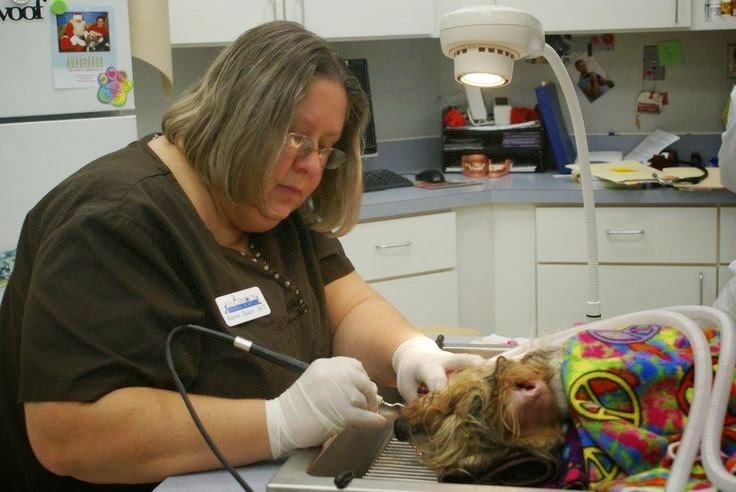 Vet techs are… dental hygienists. 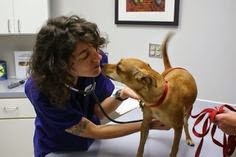 Vet techs are… grief counselors. Why are KAH techs the best in Frederick!? At least 5 of our techs have 10 or more years of experience. 6 of our technicians travel over 40 minutes to work each day. They pass a number of other clinics to work at KAH because we have the best group of people to work with! This entry was posted in Frederick MD, Kingsbrook Animal Hospital, veterinarian on October 7, 2014 by yourfriends.